Set among the sweeping hills of Wiltshire, Bowood Hotel, Spa & Golf Resort is one of England’s finest places to stay and play golf. The outstanding championship layout, which has been named The PGA's Official Golf Course and Academy for the South West PGA, is one of Wiltshire's most beautiful, set within the fabulous Bowood House estate. Located just 40 minutes to the east of Bristol, Bowood Hotel, Spa & Golf Resort is extremely accessible from across the UK and a great option Londoners looking for a short break from the city. The 4* hotel is one of the top luxury options in Wiltshire, boasting top-class service and a great spa, its easy to see why it is a Signature Collection resort. Bowood Golf Resort is The PGA's Official Golf Course and Academy for the South West of England. From the medal tees, Bowood has hosted prestigious events including PGA Challenge Tour championships, but Dave Thomas has installed a good range of tees to ensure that the higher handicapper will not be too daunted. The 7,317 yard layout encompasses tricky dog-legs, water hazards and strategically positioned bunkers, which are sure to challenge even the most skilled visitors, while all are sure to enjoy the incredible surroundings. Bowood's practice centre is the envy of many, featuring a 3-hole Centaur academy course, two practice putting greens, a covered and floodlit driving range, and a short game area, all of which are complemented by the dedicated team of fully qualified PGA professionals. 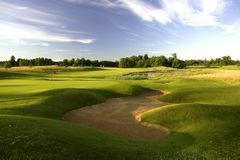 Bowood Golf Resort has been voted into the Top Ten New Courses, and Top 50 Courses in Britain by Golf World Magazine. Bowood Hotel, Golf & Spa has been voted into the Top Ten New Courses, and Top 50 Courses in Britain by Golf World Magazine. Q - What are the check-in and check-out times?